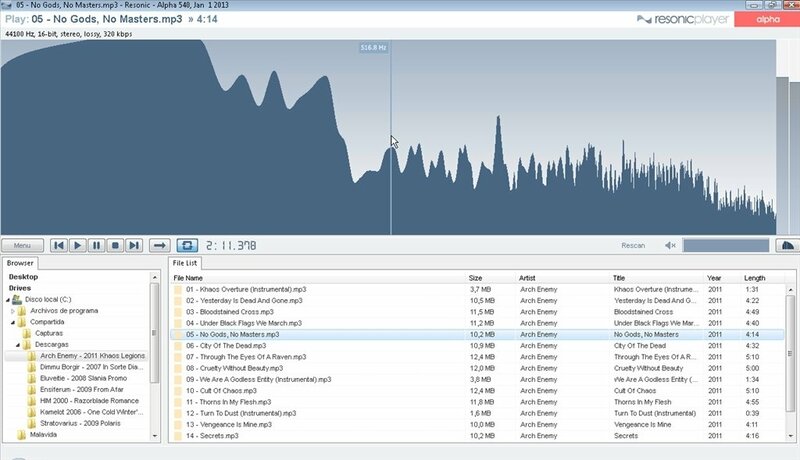 What do you expect from an audio player? Resonic meets the expectations of the most demanding users, but also focuses on what is really important for any audio player: being capable of supporting as many sounds formats as possible. A versatile and ultrafast audio player. 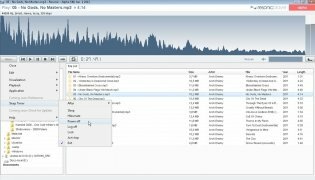 Resonic Audio Player is easy to use, but this does not mean that it neglects advanced users with a need for more options. 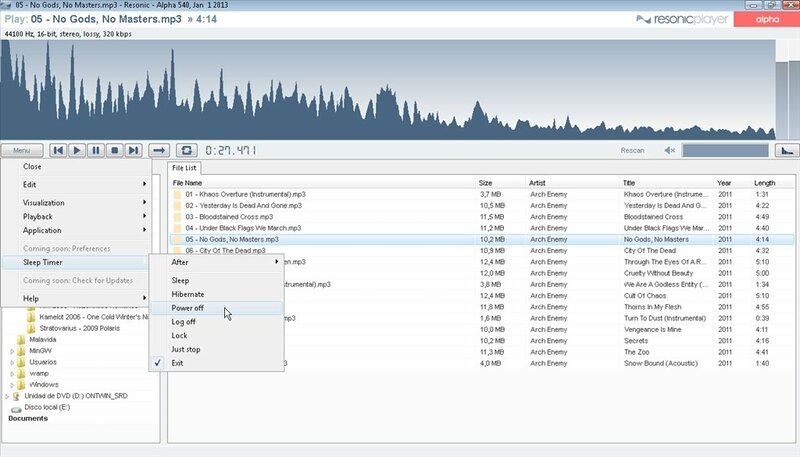 Interface that stands out for it's usability, and that is focused on the viewing of the audio waveform. 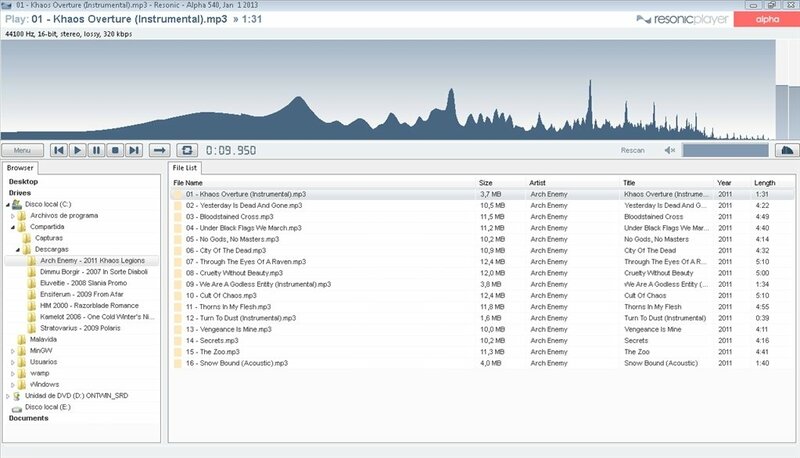 Adapted to facilitate browsing through large directories and sound files. Availability of various display modes for audio signal (supports stereo and multichannel waveforms). Real time frequency analyzer (linear and logarithmic). Shuffle and Repeat playback functions. MP3, MP2, MP1, OGG, M4A, MP4, AAC, MPC, MP +, OPUS, SPX. WMA, WMA Pro, WMA Lossless. 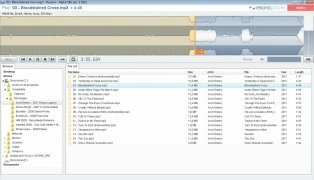 WAV, AIFF, FLAC, APE, ALAC, WV, TTA.IT, XM, S3M, MTM, MOD. Download Resonic free and discover this new audio player. Fast, powerful, and easy to use.